Guns Are Not ToyS Ban the Toy Guns That Look Like the Real Ones! Who Are The "G-ANTS"™ ? Where Did The "G-ANTS"™ Come From? Why Do Some of The "G-ANTS"™ Have Special Powers? 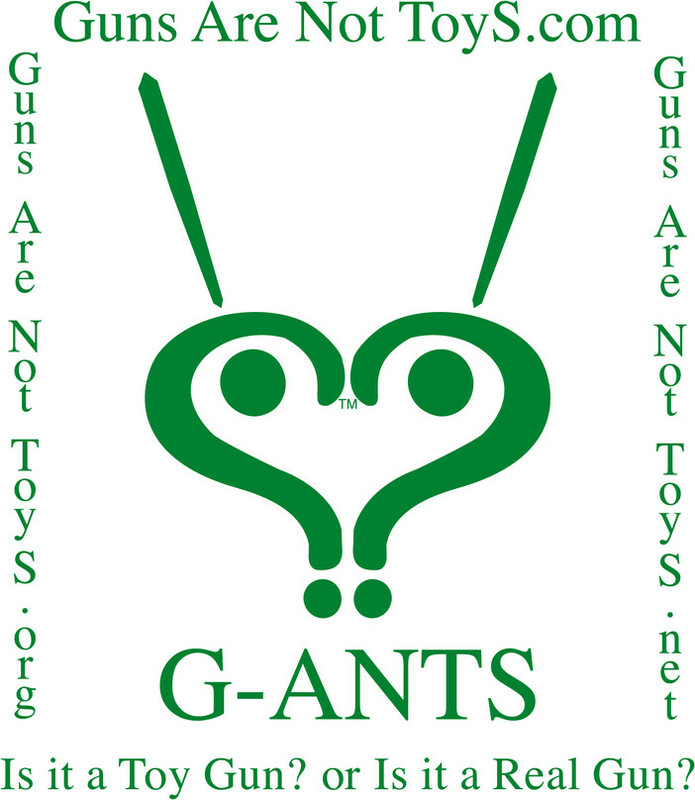 Why Are The "G-ANTS"™ Green!?/. The Story of the G-Ant begins back in the days of Noah. The King and Queen Ant of the World were included. first off of the Ark climbing on to a tree branch and making a clean exit. The King Ant wasn't so Fortunate. the Ark. He felt like a D.O.G. and Looked like a Chocolate Covered Ant. No more Dinasoars? Other creatures were given the opportunity for a fresh start. The King Ant was the Last GIANT ANT. seismic activity had awakened Him. He still had the last clutch of Giant Ant Eggs tucked away and still safe. saved and now they were his responsibility. An empty Lava tube was the perfect place to hide his dozen eggs. They would be safe until their time as long as no lava reached this tube. seismic activity to make sure these last eggs were safe. seeping ooze into the lava tube. penetrated their protective sack and they were active as to hatch soon. A brigade of Army Ants was nearby and had to evacuate. triple checking to make sure nothing was left behind. That's when he saw a strange green glow in the toxic soup. top with the precious eggs attached. Sergeant Ant volunteered to try and save the eggs. Little did he know these were not part of his outfit. These eggs were the last of the Giant Ant Species. Copyright©2006-2019. All Rights Reserved.airone.net air1.solar, airone.solar air1solar.com, air1solar.net, aironesolar.com, aironesolar.net, airone.co, aironesystems.net, GreenEnergyFest.org, GreenEnergyFest.com, g-ants.com, g-ants.org, g-ants.net, GunsAreNotToys.com, GunsAreNotToys.org, GunsAreNotToys.net, OsysProductions.com are Trademarks of MR. O . The Green Ants were clustered together in groups and different sizes. Sarge was given the task of naming these strange GREEN ANTS. This reminded him of Adam in the Garden of Eden naming creatures. The twins were rather large but identical with opposite personalities. One of the big twins tried to bite him. He named them: SCOUT, SHOUT and POUT/LINSEE. linseed oil label on his stomach. He seems to have a split personality or to be bi-polar. Then there were 4 more eggs clustered together! These strange GREEN ANTS were smaller than the others. They seemed to need more time to grow as they seemed pre-mature. rather than quadruplets but they did hatch together. SOLO and HALO, ITTY and BITTY. BITTY G-ANT cannot speak but has super senses and hearing. Like spinning the I in Giant to make a dash. Sarge was impressed with himself for being so cleaver. protect them because they were such an awesome oddity. Then there were 2 more eggs that looked different. They were stuck together in a strange way. They were very funny and contradicted themselves constantly. it was a riot when he would say “I’m Up" when he would doze off. Now that all of the G-ANTS had names he could try to keep up with them. Sarge has his work cut out for him. Older Than Me According to Sarge. My favorite episode is when ITTY gets the hiccups and he finds out he can shrink or expand like some other ants we have heard of. The next morning, the 2 big twins NIPPIT and NABBIT were gone! probably took off on their own and would start a new life elsewhere. protective sac that they were hatched in. fighting over it like nothing else mattered. SOLO and BACKNUP were fighting over it like crazy. determined they just hatched together and were not relatives. air conditioner filter with some lumps. Finally they worked it out to share this odd security blanket. They would all be fighting over it. Sarge couldn’t’ figure it out. some kind of sign language. ITTY translated. Bitty said someone is approaching from the east. best recyclers on the planet. instinct must have triggered this behavior. responsibility for the daily tasks to be done. sort and re-purpose items in a very innovative process. They separated metals, cloth and anything they could re-purpose. HALO found the highest spot. SOLO found the lowest spot. Sarge could barely get his arm in. wander a little bit, but was getting bolder. NIPPIT and NABBIT brought in on the ANTEGON (ant wagon). all the work BACKNUP had done. that night they went out into THE UNKNOWN again. he did not want to discuss. They would be up all night if he didn’t tell them a bedtime story. Most of the stories he told were true. unique one of a kind group that he had taken on. He was afraid for them and excited at the same time. My name is NIPPIT. 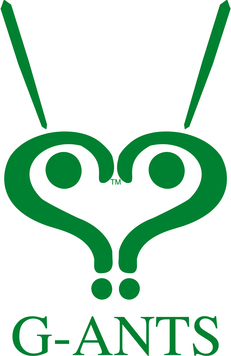 When you see this symbol it is me. Let's Go Ahead and Get it Done. I Like to Taste and Chew on Everything. I have a Twin Brother and We Collect Discarded Items to Recycle or Re-purpose. My favorite episode is when SHOUT makes voices like people on TV and fools Sarge. Right before dawn the smell of smoke was in the air. Heat was coming from the lava tube. Nippit and Nabbit were no where to be found. They must be on one of their nocturnal adventures. recycled items into the lava tube to stop it up. Bad move. It seemed to make the smoke worse. out of control frantic movements. ITTY said she was putting out an S.O.S..
all of this stuff that looked like they had raided a department store. items that weren't theirs but there were more pressing matters. toy guns, fans, wheels,dinnerware and all sorts of one of a kind items. It was working! ?/ The items were finally stopping up the lava tube. toy guns worked the best. toy guns and was chewing like gum. NABBIT also bit one off and was chewing it. expanded to the size of a bowling ball and stuck to the ground like cement. NABBIT spit his orange tip thing out and the same thing happened. Sarge was relived that the lava tube was cooling off. To his surprise, there must be something up with these toy guns. worked almost like cement and was intriguing. were bound to end up fighting, confused and with no sense of accomplishment. He decided to give them a mission. knowing your left from wrong and right. lava in the tubes really surprised him. I Want to Fly as High as I Can Go. I'm a Little Shy and No One Know that I Can Fly. I Always Pray and Worry About the Other G-ANTS. My favorite episode is when SARGE figures out there were 12 eggs and only 10 G-ANTS. Around Midnight Bitty woke up Sarge and no translation was needed. Something Huge was coming their way from underground. You could feel the Earth shake like an Earthquake. They rigged up a rope and wanted to go down there. All of the G-ANTS had never shown fear before. This changed their minds. As Sarge lowered himself down, he told the others to be quiet and just listen. Getting closer to the side tunnel he could sense that something was alive in there. He conquered his fear and swung into the opening. Sarge only had a survival knife, A Wing and A Prayer and was sore afraid shaking. It was GOD's GIANT KING ANT from Noah's Ark. Strange Giant Green Ants came from. Ark which was the beginning of the story. criticized for cutting down all of the good wood. Back then it had never rained before and it was pretty cool at first. As the rains came and the Earth flooded, every living creature was going to higher ground. The creatures instinctively saw the Ark as their refuge as the waters rose. Strangely enough even the evil Humanoids back then were the last to realize the disaster. amazing force and sealed out the water. So many people and creatures were trying to swim or float. final screams was scary and heartbreaking. As time went on, all you could hear was the water and rain. We all felt blessed to have been saved and every creature was humbled. We all helped each other and nothing but hope and faith seemed to pull us through. It seemed like he could still feel THE PAIN from the Great Flood. Then he told me about being trampled and left for dead. As he fell into a deep sleep dreaming about ROSES and looking at the first Rainbow. Sarge being their protector and teacher. I Can Sense Everything Coming or Going and Have Super Sensitive Hearing. I Use Sign Language to Communicate. I Always Know Secrets Before the Other G-ANTS. My favorite episode is after SARGE figures out Ant Eggs do not have a protective sac. I Can Mimic Almost Any Voice or Sound I Hear. I Love to Play Guess What I'm Doing. The GIANT KING ANT was Here to Ask for Help. He was Exhausted From Putting Giant Boulders in the Lava Tubes in the Ring of Fire in Hawaii. From Within the Earth's Crust. This GIANT GREEN KING ANT had already seen Eclipses, Meteorites, and Comets. Looking to Heaven is a FIREY PLANETOID in this World's Future. He is Worried that the End of Time is Near. Every time it Rains, He Still Feels THE PAIN. They Can Stop Up The Lava Tubes to Save The World. Remember the G-ANTS Could Hear the Conversation and Started to Make a Plan. My Name is SCOUT. This is my symbol. I like to Go Far Away and Explore New Places and Things. Sometimes I Go So Far Even Bitty Doesn't Know Where I Am. I Always Leave a Trail to Follow. I Always Come Back to My Brothers SHOUT and POUT/LINSEE. As the GIANT KING ANT Thought to Himself as He Had Done for Centuries. He Knew He was in A TIME WAR(P) and Had Played This scenario in His Mind, It Seemed Forever Over and Over. From Deep Within the Earth Lava Flowing? I Can Translate for My Sister BITTY. I Can Change My Body From Regular Size to Microscopic. I Use Super Melted Chocolate to Get Super Strength. I Can Eavesdrop and Listen For Information and Secrets. My favorite episode is when NABBIT finds a Real Gun and Thinks it's a Toy Gun. I Have a Split Personality or Bi-Polar. There are Symbols Like a Birthmark That Say Linsee On My Stomach. Sarge Say it's From the Linseed Oil Label on the Container That Saved All of Us. I like to be Alone and By Myself. Sometimes I go Far Away Like Scout. I Get Sad Sometimes and Make Up Songs to Cheer Me Up. I like Exploring the Lava Tubes. My favorite episode is when I realize that I Write songs and keep them a Secret that they came from me. BACK Side is Male and Really Hyper. UP Side is Female and Always Sleepy. We Always Want to Go in Different Directions and Contradict Each Other. True Story about girl playing a suicide game with a gun and her boyfriend lunged to try to get it away and she got shot in the head. I was in the Medical center parking lot on a full moon night when she died. The little blue man that used to be on top of the building was fading in and out in the haze. Her real name was Kelly Porter but Kelly Green makes a better story. KELLY GREEN MR. O ©2006. Is More Than Just a Color in Your Wildest Dreams. Made for the Silver Screen. More Than Just a Color in Your Wildest Dreams? She Fights For Her Life. She Takes Off on A Flight. That Could Make You Scream. Is More Than Just a Cover for Your Magazine.